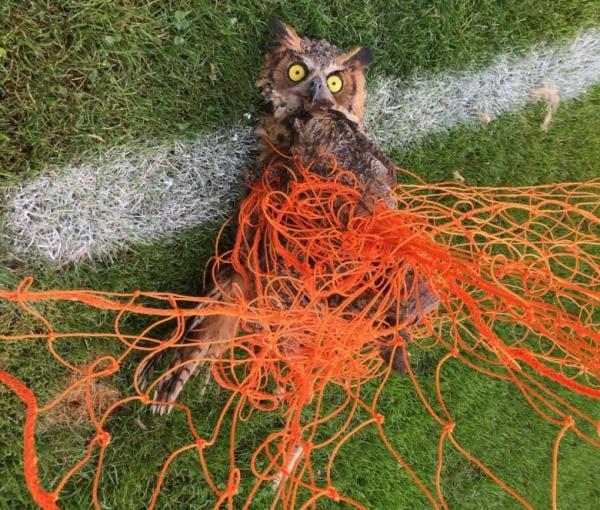 Soccer may be ‘the beautiful game’ but the sport’s increasing popularity is making life ugly for nocturnal wildlife trapped in the tough webbing of unoccupied goal nets. The hobbled hooter was found by Chantal Theijn of Jarvis, Ontario-based Hobbitstee Wildlife Refuge, who states this seemingly odd happenstance isn’t uncommon… in fact, it’s getting worse. 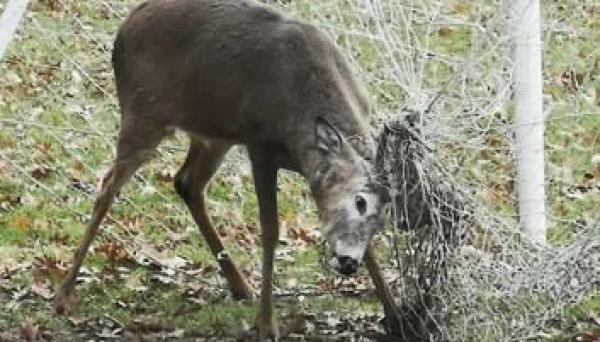 Other creatures such as deer and moose get tangled in the nets as well, and the tough webbing that’s a boon for players acts as a form of “flypaper” for wildlife unprepared for the encounter and ill-equipped to escape.